We have bananas in the garden again. 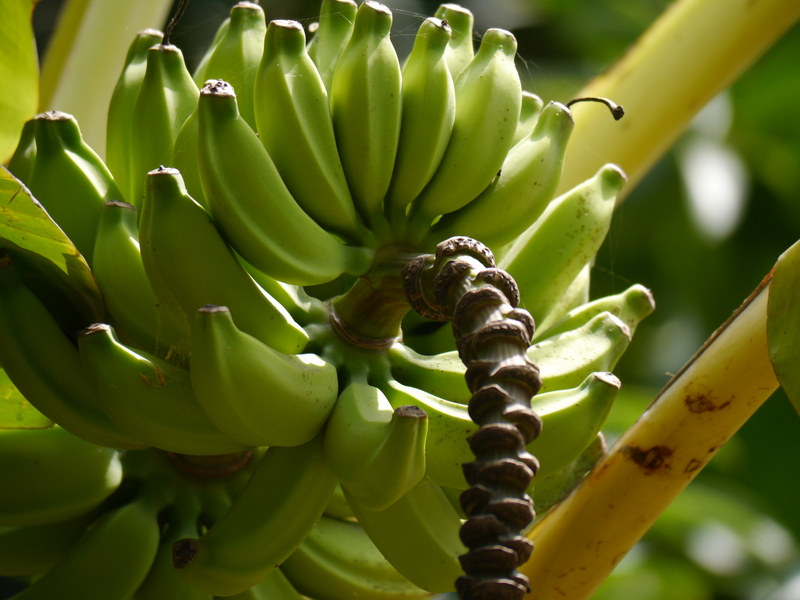 One banana tree gave us fruit in January, as reported here and here. 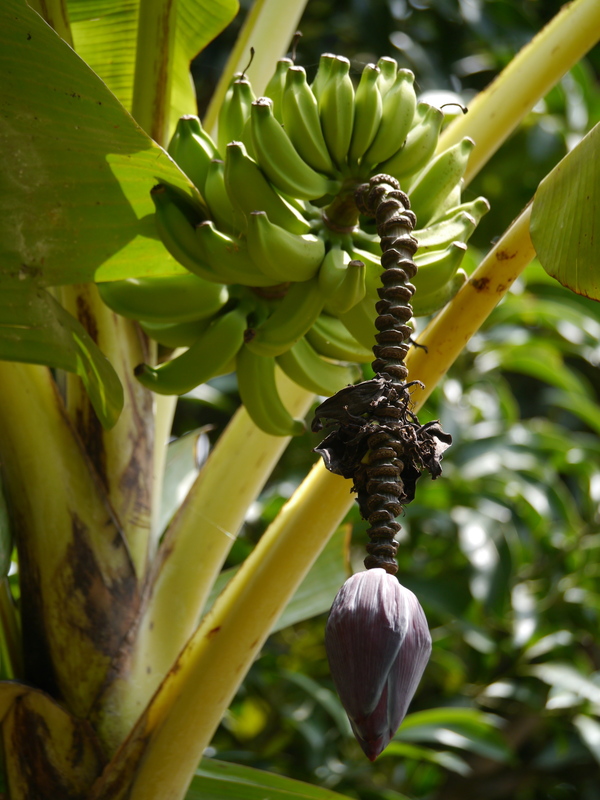 A second tree is now holding green bananas and a banana flower. 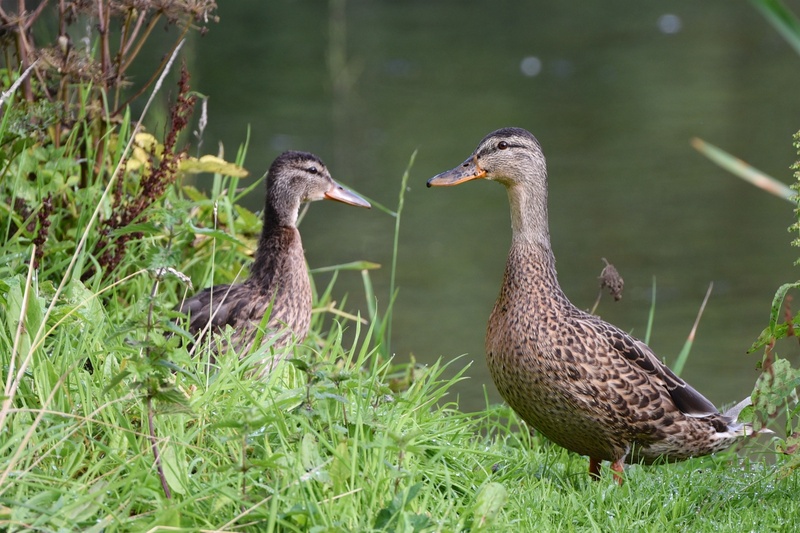 This is how they looked on Wednesday. These bananas look smaller than January’s crop. 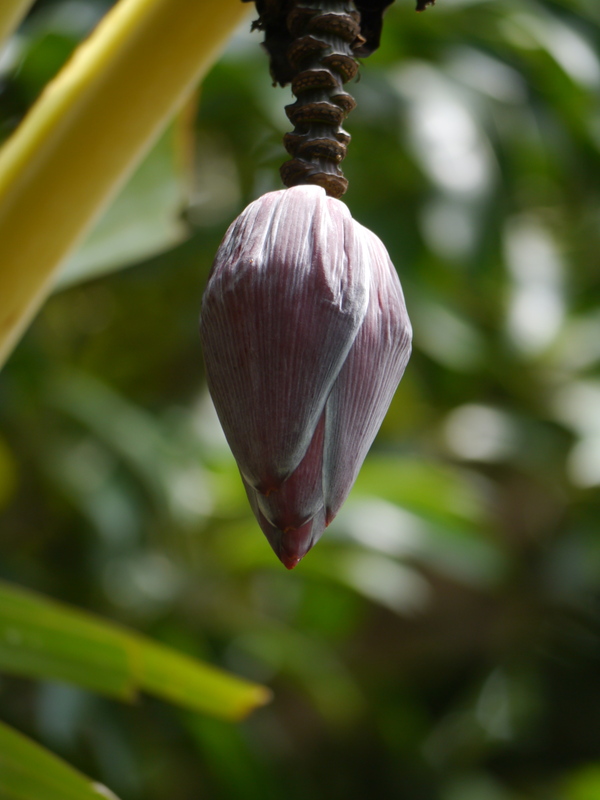 For the first time in my life, I have paid attention to the banana flower. 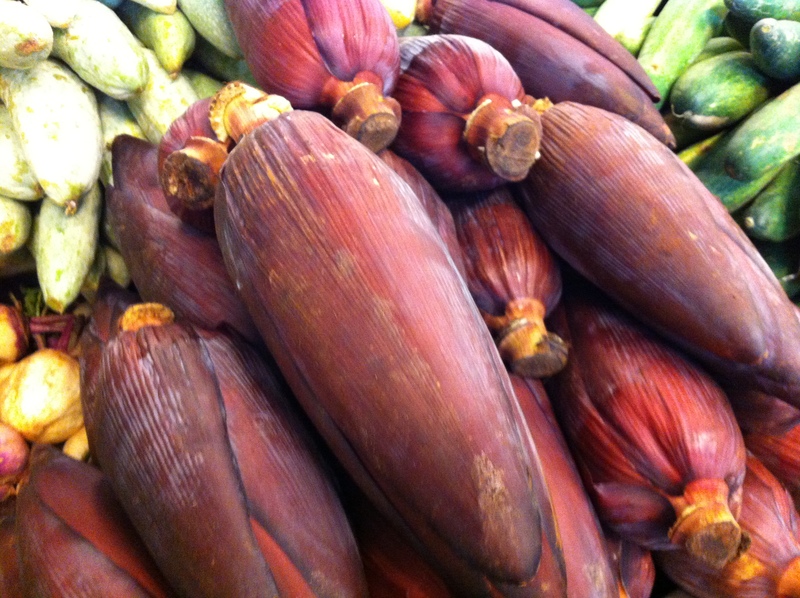 Banana flowers are edible – here are some on sale in Bangalore’s Hypercity supermarket. They cost 20 rupees per kilo. At least they did two months ago. 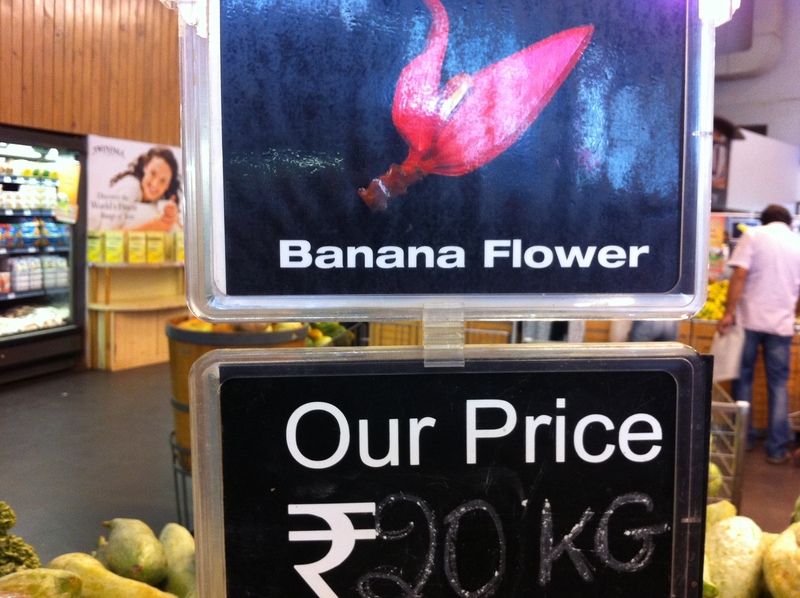 I took this photo before our own banana flower appeared, and food prices have been rising in India. P.S. For anyone interested in ladybirds, I updated my post “Is there any country that doesn’t have ladybirds” this week, after spotting something spotty in the garden. I didn’t know you could eat banana flowers! Do you have to cook them? Yes I’ve read some complicated recipes for dismantling and chopping and cooking them. If I do try, I will blog the results! So, did you ever master a bana flower recipe? We have bananas here in Sicily too, but they don’t ripen fully unless you wrap them up in a kind of winter anorak made from black bin liners and fleece. My husband did it once and cannot be bothered to do it again! What did I miss on the drumlin?